Arsenal boss Arsene Wenger has agreed a new contract to remain as Gunners manager until 2017. Arsene Wenger, 64, is the longest serving manager in the Premier League after the retirement of Sir Alex Fergusson. He took to the charge of Emirates stadium side in 1996 and ended their long trophy draught this year by winning the FA Cup. A new deal was expected to take place for Wenger after winning the FA cup and now, the Frenchman is almost sure to end his career at the Emirates. After signing the deal, Wenger said: ai?? ?I want to stay and to continue to develop the team and the club.ai??? Wenger was seemingly excited about the ongoing project at the club. ai?? ?We are entering a very exciting period. We have a strong squad, financial stability and huge support around the world. We are all determined to bring more success to this club. The club has always shown faith in me and Iai??i? ?m very grateful for that.ai??? Arsenal manager is quite intent to work hard for the future of the club. ai?? ?We have gone through fantastic periods and also periods where we have had to stick together. Every time when that togetherness was tested I got the right response. I think I have shown some loyalty as well towards this club and hopefully we can make some more history. I am sure we can.ai??? Owner of Arsenal, Stan Kroenke, was also happy about the contract extension. He stressed that the club will always follow the model of sustainable development and will always adher to the rules of UEFAai??i? ?s Financial Fair Play. He said: ai?? ?Sustained excellence is the hardest thing to achieve in sport and the fact Arsenal has competed at the top of the game in England and Europe throughout the time ArsA?ne has been manager, is the ultimate testimony to his consistency of performance, talent and ambition. ai?? ?We are delighted with the FA Cup success which has added to his already outstanding record. Under his guidance we look forward to adding more trophies in future seasons.ai??? The contract extension of Wenger is expected to start the transfer market activity at Arsenal. 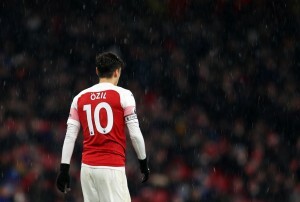 The Frenchman is currently working on to fill the gaps of his squad as he wants to win the EPL title in coming season. Wenger is keen to sign a world class defender this summer. The likes of Karim Benzema, Mario Mandzuciz and Alvaro Morata are attracting his interest and the coach will take a final call soon. Meanwhile, Bacary Sagna is joining Manchester City and Wenger will have to sign a quality right back as his replacement. Juanfran of Atletico was his preferred target but the Spaniard refused to come to Emirates.